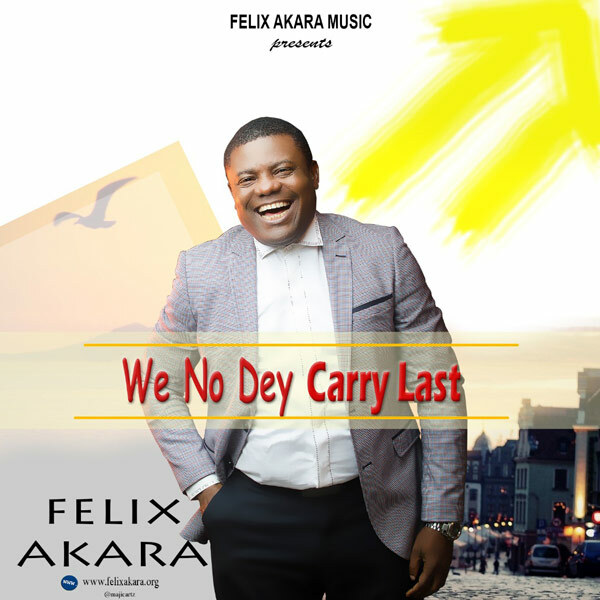 Felix Akara – We No Dey Carry Last. Nigerian gospel musician, minister, and President of God’s Heritage Ministries International Felix Akara, has dropped a hot ‘gyratory tune’ titled, “We No Dey Carry Last”. In light of Deuteronomy 28:13 and first Peter 2:9, “We No Dey Carry Last” depicts the children of God as relentless vanguards of brilliance and efficiency. The melody underscores the way that the holy people appreciate the support of their brilliant Father and triumph in all circles of life-despite seemingly insurmountable opposition. Felix Akara is the Founder and President of God’s Heritage Ministries International, a flourishing worldwide Pentecostal, service with central command in Port Harcourt, Nigeria. He is a multi-gifted lyricist and music clergyman of God. Minister Akara sings reggae, high life, shake, pop, salsa and a few types of contemporary music.